Established in 1978 as a one room pub house, John D. McGurk’s Irish Pub and Garden has risen to the top of the class among the Irish Pubs in St. Louis. 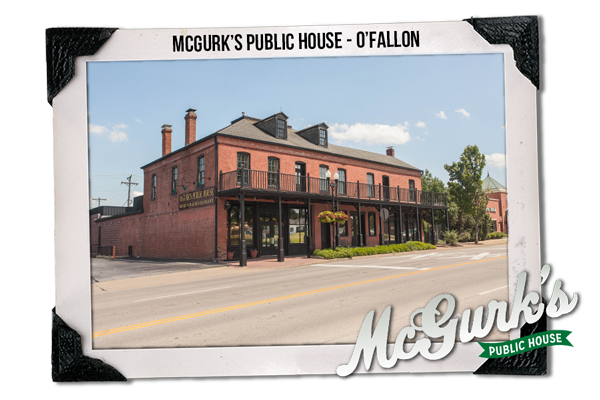 In fact, Esquire Magazine, in its June, 2011 Edition, saluting the best bars in America, chose John D. McGurk’s as its only bar honored in the city of St. Louis. McGurk’s is known throughout the Midwest for its great Irish music, food, drink, and its 15,000+ square foot outdoor garden, complete with breathtaking landscaping, a fountain, a waterfall, and three terrific outdoor bars. Inside and out, McGurk’s is 20,000 square feet of pure Irish fun. Irish musicians entertain the patrons nightly, traveling to St. Louis from Galway to Dublin, Cork to Derry. The inside of McGurk’s is a series of strung together dining rooms and bars. Its brick and wood décor with wonderful Irish artifacts makes one think they are enjoying a pub in Dublin. McGurk’s has become a great place to celebrate special occasions like rehearsal dinners and private banquets. McGurk’s has all the available Irish beer and spirits and serves lunch and dinner seven days a week. In addition to typical pub grub, McGurk’s offers wonderful steaks, assorted fish entrees, pasta specialties, and several delightful traditional Irish dishes.Great food, drink, and entertainment make McGurk’s a memorable stop. We look forward to raising a pint with you upon your next visit. Sláinte! • Sauce Magazine Readers' Choice: Favorite Patio Two Years in a row!